Posted on May 1, 2018 by Long Engineering, Inc. 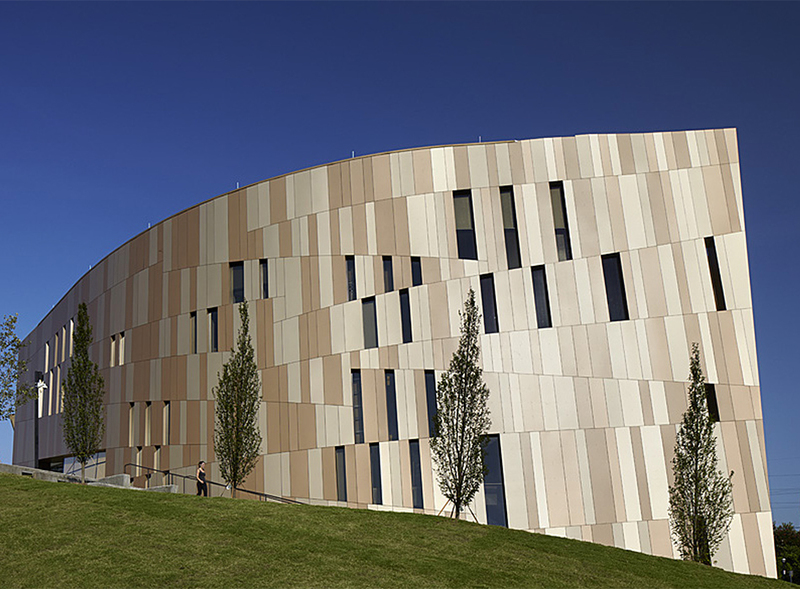 The Georgia Institute of Technology Engineered Biosystems Building (EBB) was a $113 million, 200,000 s.f. project designed to blend the College of Engineering and College of Sciences together creating an interdisciplinary environment supporting the University’s growing research agenda in the biological sciences. Separating itself from the traditional lab structure, this 6-story facility utilizes a ‘cross-cutting’ lab design with continuous working lab space running down the spine of the building, housing creative offices and meeting rooms in the wings. In addition to the open lab neighborhoods, EBB also offers outdoor views, a water harvesting system, and other biophilic elements that foster engagement and encourage interaction between the faculty, researchers, and students. In addition to receiving LEED Platinum, the Engineered Biosystems Building was also honored with a 2018 AIA Committee On The Environment (COTE) Top Ten Award. Long Engineering, Inc. was proud to have provided the civil engineering and site design services for this award winning facility. LONG’s services included providing full construction documents, utility and grading and drainage plans, and erosion and sediment control plans, construction administration services, as well as permitting through the City of Atlanta. Posted on December 12, 2017 by Long Engineering, Inc.
Posted on July 10, 2017 by Long Engineering, Inc. The Auburn Avenue Research Library is the first library in the southeast dedicated to the study and research of African American culture and history. The project included a 2,800 square foot addition and renovation to the existing 56,00 square foot building resulting in a new auditorium, archive space, café and gift shop. Long Engineering, Inc. provided civil design, permitting services, and input on civil related LEED points. The project was certified LEED Gold. Long Engineering, Inc. designed an inexpensive stormwater management system despite very limited space on site, ADA parking and access to building, and improvements of sidewalks along Auburn Avenue where there are Olympic hexagonal pavers. The Auburn Avenue Research Library for African-American Culture and History received the 2017 Award of Excellence from the Atlanta Urban Design Commission. Posted on July 13, 2015 by Long Engineering, Inc. 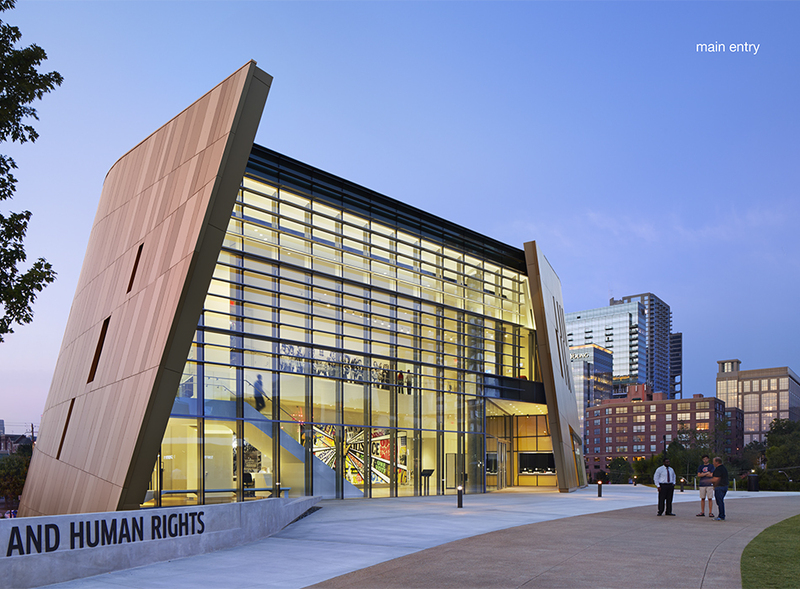 The Center for Civil and Human Rights, located in Atlanta, Georgia, has been awarded the 2015 Honor Award for Large Projects by AIA Georgia. Serving as the civil engineering firm for this project, LONG worked with HOK on this 43,000 sf building, whose concept is inspired by great urban spaces from around the world that are linked with historic civil and human rights events. The building and site design cost $40.6M and the exhibits and furnishings cost $14.5M. The civil engineering services provided sustainable site design with a cistern to capture stormwater runoff and reuse it to irrigate the building’s green roof and underground detention facility to reduce the peak rate of runoff leaving the site. A major plaza was designed alongside Ivan Allen Jr. Boulevard to accommodate pedestrian mobility and accessibility as well as provide an open air facility for gatherings. In addition, the site design called for the expansion of Pemberton Place for the ticket queuing and outdoor functions. The site construction documents were permitted through the City of Atlanta. Posted on November 21, 2013 by Long Engineering, Inc.
Long Engineering has been retained to perform the civil engineering to relocate the Low Level Wind Shear Alert System (LLWAS) for Hartsfield-Jackson Atlanta International Airport. The project is part of the new inbound roadways project currently under construction and includes a new 120 ft. monopole, along with the relocation of the existing LLWAS equipment, all according to FAA guidelines and standards. Long Engineering, Inc. has previous experience working on the Hartsfield-Jackson Atlanta International Airport. We have served as civil engineer on Maynard Holbrook Jackson International Terminal (MHJIT), the Consolidated Rental Car Facility (CONRAC), Gate F As-built Surveys, 5th Runway Paving and Sullivan Road Relocation, to name a few. We also provided the construction staking services for the MHJIT project.